Choose the best car rental deal in Cyprus by using our comparison tool, interactive map and advanced filters. IzziRent, your car rental choice assistant in Cyprus. Cyprus is an island country in the eastern Mediterranean Sea. 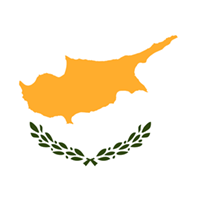 It’s official name is the Republic of Cyprus. The country has a total area of 9,2512 kilometres and 2,277 kilometres of motorways. To drive in Cyprus you should be 21 years of age with a minimum of 3 years’ driving experience. If you have an EU driving licence you will not need an international one. Otherwise you will need an international driving licence. In Cyprus you drive on the left hand side of the road. Seat belts – the use of seat belts while driving is mandatory for all passengers. Child seats – up to 5 years of age all children must seat in a child seat. Between 5 and 10 years of age, the children can sit in the front but only if they are in an appropriate child seat. Driving a rental car under the influence of drugs or alcohol is strictly prohibited. In the event of insurance claims you will be fully responsible for any damage to the rental car if driving under the influence of drugs or alcohol. Please note that whenever and wherever you drive a rented car in Cyprus, the blood alcohol limit is 0 (0.00%), regardless of the country’s laws!